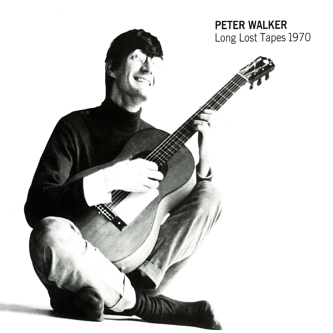 Tompkins Square is clearly a label in love with the music of Peter Walker. 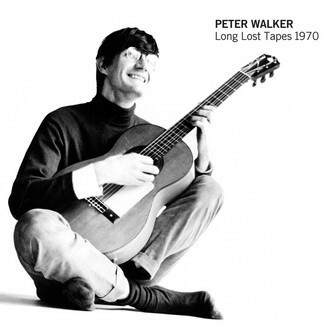 In addition to the man's own recordings, the label famously issued a tribute album in the shape of 2006's starry A Raga For Peter Walker, featuring contemporary guitar icons like James Blackshaw, Jack Rose and Thurston Moore. This latest rediscovery features Walker on electric guitar, playing as part of a full band line-up that fuses the acid rock of the late-'60s and early-'70s with Indian raga influences. In Walker's hands this fusion could hardly sound more natural and organic, droning mesmerically through 'Medication Blues' - a cocktail of hand-played percussion and crunch-tone twang. Woodwind adds a jazzier, melodic element to 'Camel Ride', further complicating the blend of influences running through the album. Walker returns to acoustic guitar for 'Missing You', while his band chide in with bells and bongos - it'd be so easy to cast this off as typical hippie/stoner noodling but Walker's instrumental abilities elevate the format far beyond any easy genre classifications.